Bolt can be used by itself at home or in a classroom together with others, and the Sphero Edu app contains lots of coding projects and tutorials to help anyone get the most out of it. Sphero says it's suitable for all ages and can help teach children the importance of learning while having fun. Sphero Bolt is available now on the official website and comes to select retailers later this month. A single unit costs $149.99, but there are also education packs including 15 robots, starting at $1949.99. The Edu app is available for various platforms, including Android — download it from the Play Store below. 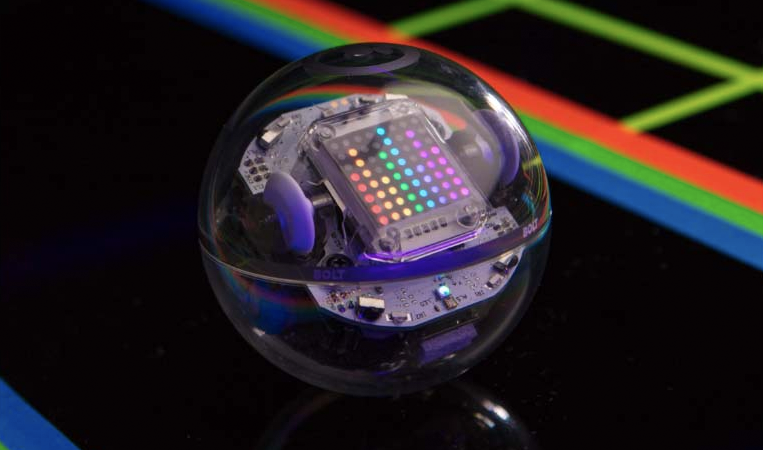 BOULDER, Colo.--(BUSINESS WIRE)--Sphero, the leader in Connected Play, announced today the launch of its latest app-enabled robotic ball, Sphero BOLT. Building upon the company’s suite of products rooted in a commitment to education, Sphero BOLT’s capabilities empower users to dive deeper into the world of STEAM learning. In addition to the robot itself, Sphero BOLT is accompanied by the Sphero Edu app. The app provides educators, parents, and kids alike with an ecosystem to share curriculum, projects, and learnings with ease, furthering Sphero’s mission to educate consumers through the act of play. BOLT is the most educational product to date from Colorado technology company, @Sphero. Now available and helping to teach STEAM/STEM curriculum. Sphero BOLT retails for $149.99 and is available now on Sphero.com and at select retailers later this month. Sphero BOLT is also available in two classroom packs; a charging case called the “BOLT Power Pack” for $2499.99, and the “BOLT 15 Pack” for $1949.99, both of which include 15 robots and accessories designed to make it easy to bring Sphero BOLT into any school or maker environment. Sphero BOLT comes to life through the existing Sphero Edu app for learning and coding on iOS, Android, Kindle, Mac, Windows, and Chrome, as well as the new Sphero Play app for unique drive modes and games on iOS and Android. To learn more and to purchase Sphero BOLT, visit Sphero.com/BOLT or follow Sphero on Facebook, Instagram or Twitter. Founded in 2010 and based in Boulder, CO, Sphero’s ongoing mission is to inspire tomorrow’s creators. We’re available in 80+ countries around the globe and have sold more than three million robots to date… and counting. Touted as “the best day of school” for kids, we aim to be all that and more as we continue to explore new technologies in the realm of creative play. We firmly believe that play is a powerful teacher, and as long as we're sparking imaginations around the world, we’ll keep fueling that fire.